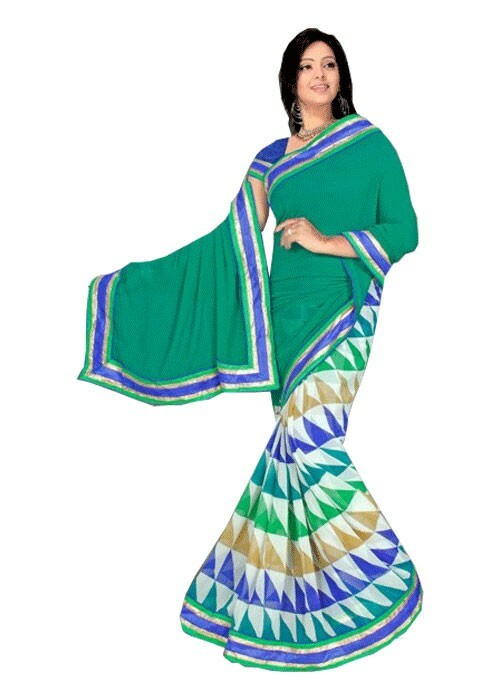 The Beautiful emerald green half n half saree. 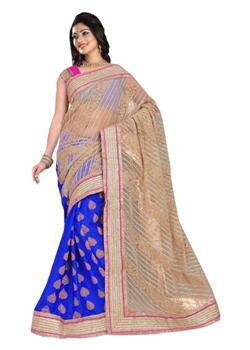 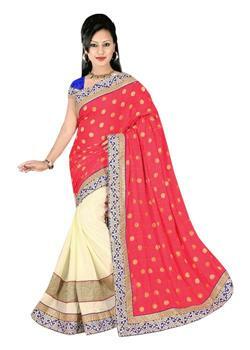 It looks great with plain pallu and eccentric printed crapes. 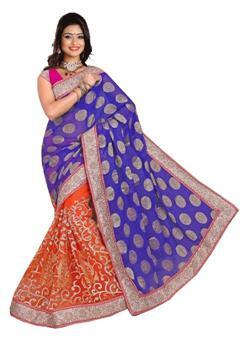 It gives you simple and trendy look; this could be best to were in corporate events. 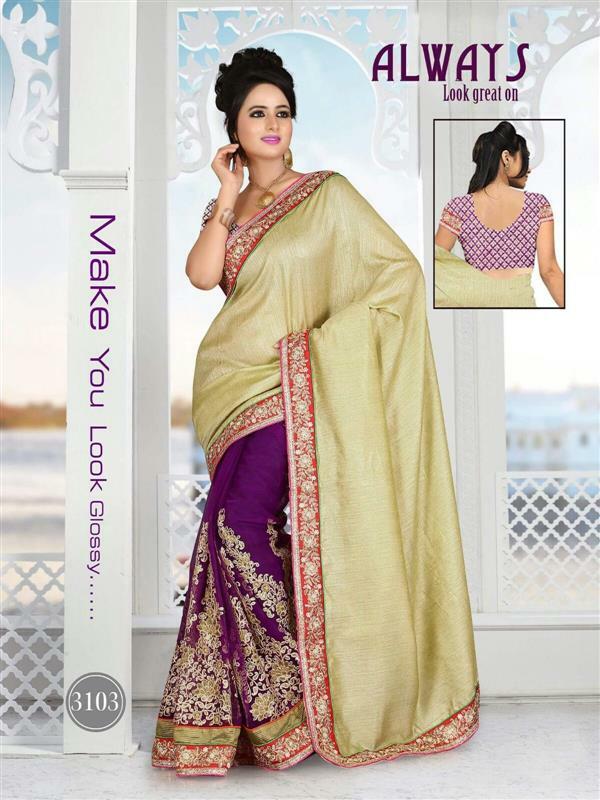 The matching blouse fabric is absolutely free with it.